Paul Beverley Partner, Buddle Findlay. Paul is Buddle Findlay’s national chairman and he leads the firm’s resource management and Maori law team in Wellington. 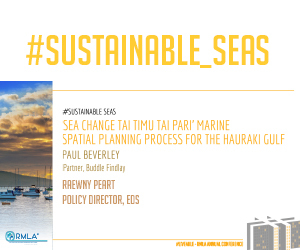 He recently completed his appointment as independent chair of the Stakeholder Working Group for the Sea Change Tai Timu Tai Pari marine spatial planning process for the Hauraki Gulf, and was previously the independent chair of the Subantarctic Marine Protection Planning Forum. Paul specialises in resource management planning and consenting processes Maori aw and Treat Settlement negotiations. His primary areas of RMA practice are large infrastructure designation and consenting processes, and regional and district planning processes. Paul also has extensive experience collaborating and negotiating wit Maori and advising on Maori law issues and relationship frameworks. He has been a member of the core Crown design, negotiation and drafting teams on over 40 Treaty of Waitangi settlements, including the novel legal personality approaches for Tuhoe (Te Urewera) and the Whanganui River (Te Awa Tupua); and settlements covering the Waikato River, Northland, Auckland, Hauraki, Bay of Plenty, the central North Island and the top of the South Island. His particular specialty is designing and negotiating co-governance, co-management and relationship frameworks between the Crown, local government and Maori. Raewyn Peart Policy Director, EDS. As Policy Director, Raewyn currently heads EDS’s environmental policy think-tank group. She has over 20 years professional experience in environmental law and policy having worked as a resource management lawyer and policy adviser to business, government and the not-for-profit sector. For the past decade, Raewyn’s work has focused on landscape protection, coastal development and marine management in New Zealand. She has published major books on coastal development (Castles in the Sand: What’s happening to the New Zealand coast? ), marine mammal protection (Dolphins of Aotearoa: Living with dolphins in New Zealand – which was shortlisted for the New Zealand Royal Society Science Book Prize) and environmental change in the Hauraki Gulf (The Story of the Hauraki Gulf). She was a member of the collaborative Stakeholder Working Group which successfully prepared the first marine spatial plan in New Zealand for the Hauraki Gulf. Raewyn was co-winner of the 2013 Resource Management Law Association Publications Award, and recipient of the 2016 Holdaway Award for leadership in and around the Hauraki Gulf Marine Park and the 2017 Wyland Foundation Dive New Zealand Magazine Recognition Award. She is heading EDS’s current Resource Management Law Reform project.